Pioneers in the industry, we offer exterior wall primers from India. 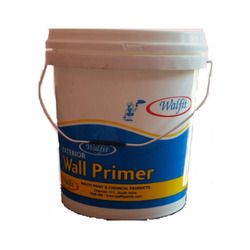 We manufacture and supply fine Exterior Wall Primers in its varied specifications. We provide water resistant Exterior Wall Primers to our customers and it remains same for long time. The Exterior Wall Primers can be used to patch up cracks, holes, etc. We deliver the Exterior Wall Primers in safe and tight packaging to ensure its proper delivery at customers end.